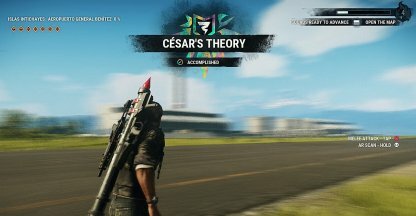 Check out this guide for a full walkthrough of story mission Cesar's Theory from Just Cause 4, including gameplay tips, guides, and more! 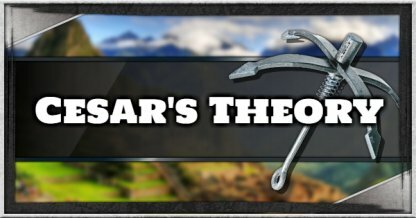 To unlock Cesar's Theory, you need to complete missions in Islas Intichayes and secure the region. Once you've watched the cutscene, you'll unlock new missions in Laderas Sur & Terras Bajas. This mission won't involve any combat. You just need to go through the cutscene between Rico, Mira, and Cesar. You only need to watch the cutscene between Rico, Mira, and Cesar to start and complete this mission. No combat is involved.